That is the text, “Christ liveth in me.” That is the revelation of this Age. That is the discovery of the moment. That is the revolutionising power of God in the earth. It is the factor that is changing the spirit of religion in the world and the character of Christian faith. It is divine vitalisation. The world is awakening to that marvellous truth, that Christ is not in the heavens only, nor in the atmosphere only, but Christ is IN YOU. The world lived in darkness for thousands of years. There was just as much electricity in the world then as now. It is not that electricity has just come into being. It was always here. But men have discovered how to utilise it and bless themselves with it. Christ has a purpose in you. Christ’s purpose in YOU is to reveal Himself to you, through you, in you. We repeat over and over that familiar phrase, “The Church which is His body,” but if we realised the truth of it and the power of it, this world would be a different place. When the Christian church realises that they are the tangible, living, pulsating body, flesh and bones and blood and brain of Jesus Christ, and that God is manifesting through each one every minute, and is endeavouring to accomplish His big will for the world through them, not through some other body, then Christian service and responsibility will be understood. Jesus Christ operates through you. He does not operate independently of you, He operates through you. Man and God become united. That is the divine secret of a real Christian life. It is the real union, the real conscious union of man and God. There is no substitute for that relationship. You can manufacture all the ordinances on earth, all the symbols there ever were until you become dazed and you lose yourself in the maze of them, and still you must find God. There is only one reality. That reality is God. The soul of man must contact God, and unless the spirit of man is truly joined to God there is no such thing as real Christian manifestation. All the processes of preparation, by which a soul is prepared by God for such a manifestation, are only preliminary processes. The final end is that man may reveal God and that God may not only have a place of residence but a right action in the body and spirit of man. 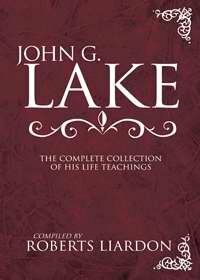 Every Spirit-taught man in the world is aware of how gradually his own nature has become subjected to God and His will. I was visiting with a gentleman who had a grouch on me. He said, “I wrote you a twenty-four page letter, and you have not received it. If you had you would not be here.” I laughed. That man has been a Christian for thirty or forty years. Always a devout man, and I have spoken of him frequently to my wife and my friends as one of the most consistent Christian men I ever knew. Yet every once in a while we see how the big human just rises up above the spirit and spoils the beauty and delight and wonder of the life that is revealing God. God’s effort and God’s purpose in us is to bring all the conditions of our being into harmony with His will and His mind. God’s purpose is not to make an automaton. We see a ventriloquist operating a little wooden dummy, and the wooden dummy’s lips move and it looks as though it was talking. It is just moving because another power is moving it. Now God has a higher purpose than making man an automaton. God’s highest is to bring out all the qualities of God in your own soul, to bring out all the individuality that is in your life, not to submerge or destroy, but to change it, to energise it, to enlarge it, until all your individuality and personality and being are of the nature and substance and quality of God. While I was in Chicago I met a couple of old friends who invited me to dinner. While at dinner the lady, who is a very frank woman, said, “Mr Lake, I have known you so long and have had such close fellowship for so many years, I am able to speak very frankly.” I said, “Yes, absolutely.” “Well,” she said, “there is something I miss about you. For lack of words I am going to put it in Paul’s words, ‘I bear in my body the marks of the Lord Jesus.’ You do not seem to have the marks of Jesus.” I said, “That depends whether or not it is the marks of mannerisms. If you are expecting that the personality that God gave me is going to be changed so that I am going to be another fellow and not myself, then you will miss it. If that is the kind of marks you are looking for you will not find them. But if you are expecting to observe a man’s flesh and blood and bones and spirit and mind indwelt by God, then you will find them, not a machine, not an automaton, or an imitation, but a clear mind and a pure heart, a son of God in nature and essence. What is all God’s effort with the world but to bring out the real man in the image of Christ, that real man with the knowledge of God, that real man reconstructed until his very substance is the substance of God. And when you stop to reason that to its proper conclusion, that is the only way that Jesus Christ Himself or God the eternal Father will have fellowship with man forever. When one stops to analyse that fact, we see that God is trying to make us in all our nature and being and habits and thought, in all the structure of our life, just as beautiful and just as real and just as clear-minded and just as strong as Jesus Himself. Than we understand what Christ’s redemption means. It is the bringing out of Christ IN YOU, until Christ in you is the One manifest - manifest through your eyes just as God was manifest through the eyes of Jesus, manifest through your touch just as God was manifest through Jesus. It is not a power nor a life separate from yourself but two lives made one, two natures co-joined, two minds operating as one - Christ in YOU. In the Chicago conference I sat with an old coloured lady one afternoon after the meeting, and she told me of her woes and sicknesses, and they were many. After a time when she had grown somewhat still, I said, “Dear Mother, how long have you been a Christian?” She replied, “Since I was a child.” Then I tried to show her that God expected a development of God and His nature and the working and action of God in her in transforming power through the agency of the Holy Spirit, and that there was a process of remaking and remoulding that should change her nature and life, and dissolve the rheumatism and Bright’s disease and all the other difficulties, just as truly as long ago sin dissolved out of her soul. After the conversation had gone on to the proper point, I said, “Dear Sister, anybody can see that Christ dwells in your spirit.” Her eyes were lovely, delightful. “Let your mind extend just a little bit. Let your thought comprehend that just as Jesus dwells in your spirit and also possesses your soul, in just exactly the same way He is possessing your blood and your kidneys and your old rheumatic bones, and that the very same thing will happen in your bones when you realise that truth as happened in your spirit when you were converted at the altar.” (She told me how she had prayed twenty-two days and nights until Christ was revealed in her soul as Saviour. She seemed to want to wait twenty-two days and nights for God to manifest Himself in the rheumatic bones, and I was trying to get her away from it.) She said, “Brother, lay your hands on me and pray for me, and I will be healed.” I answered, “No, I want you to get well by realising that right now that same Christ that dwells in your spirit and your soul is in your bones and in your blood and in your brain.” Presently the old lady hopped to her feet and said, “My God, He is.” She had it. Christ had been imprisoned in her soul and spirit, now He was permitted to manifest in her body. He knelt down and he prayed for a minute or two, his soul arose and his heart believed for the baptism of the Holy Ghost. Then he arose and took one of the front seats. One of the workers said, “Brother, don’t stop praying until you are baptized in the Holy Ghost.” Mr. Seymour said, “Just leave him alone. He has got it. You wait and see.” A few days passed, and one day Tom said the Spirit began to surge through him, and a song of praise in tongues, angelic voice, broke through his lips. 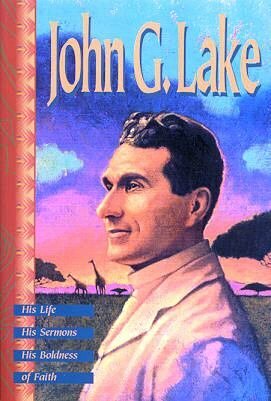 An old preacher came into my office in Africa and said, “Brother Lake, there is something I want to talk to you about. There used to be a very remarkable manifestation in my life. It was the manifestation of tongues and interpretation. But I have not spoken for a year. I wish you would pray for me.” I said, “No, go over and lie down, and get still and let God move in your life.” I went on writing a letter. Presently I observed that something wanted to speak in me, and I turned my head just a little to see that the old man was speaking in tongues and I was getting the interpretation of it as I wrote the letter. Don’t you know Christians are stumbling every day over that fact. You are doubting and fearing and wondering if Christ is there. Beloved brother and sister, give Him a chance t o reveal Himself. He is there. Probably because of your lack of realisation your soul is closed and He is not able to reveal Himself. You know God is never able in many to reveal Himself outside of the spirit or soul. The real secret of the ministry of healing is in permitting the grace of God in your heart to flow. out through your hands and your nerves into the outer life. That is the real secret. And one of the greatest works God has to perform is to subject our flesh to God. Many Christians, the deepest Christians who really know God in their spirits and enjoy communion with God, are compelled to wait until there is a process of spiritualisation takes place in their bodies before God can reveal Himself through them. Do not imprison Christ in you. Let Him live, let Him manifest, let Him vent through you. There is one great thing that the world is needing more than anything else, and I am convinced of it every day I live. Mankind has one supreme need, and that is the LOVE of God. The hearts of men are dying for lack of the love of God. I have a sister in Detroit. She came over to Milwaukee to visit us for two or three days at the convention there. As I watched her moving around, I said, “I would like to take her along and just have her love folks.” She would not need to preach. You do not need to preach to folks. It is not the words you say that are going to bless them. They need something greater. It is the thing in your soul. They have got to receive it, then their soul will open and there will be a divine response. Give it to them: it is the love of God. I had an English friend and was present at his marriage. Some years later he and his wife came to visit our home. He was the cold type of closed up Englishman, and his wife was the warm type. One day as they started out for a walk, I noticed the passionate yearning in her soul. If he would just say something that was tender, something that would gratify the craving of her nature for affection, but he seemed to go along absolutely unconscious of it. After a while they came back from their walk. I was sitting on the front steps. After the lady had gone into the house, I said, “Hibbs, you are a stiff. How is it possible that you can walk down the street with a woman like your wife and not realise that her heart is craving and crying for you to turn around and do something that shows you love her?” He said, “Do you think that is the difficulty? I will go and do it now.” And everything subsided while he proceeded to do it. What is it men are seeking? What is it their hearts are asking for when they are seeking God? What is their soul crying for? Mankind is separated from God. It may not be mountains of sin between you and God at all. It may be that your nature is closed and unresponsive. My! When the real love touch of God is breathed into your soul, what a transformation takes place. There is probably no more delightful thing on earth than to watch a soul praying into God, when the light of God comes in and the life of God fills the nature and that holy affection that we seek from others finds expression in Him. That is what the Lord is asking from you, and if you want to gratify the heart of Jesus Christ, that is the only way in all the world to do it. You know the invitation is not “Give Me thine head.” The invitation is, “My son, give Me thine HEART.” That is an affectionate relationship, a real love union in God, a real love union with God. Think of the fineness of God’s purpose. He expects that same marvellous spiritual union that is brought to pass between your soul and His own to be extended so that you embrace in that union every other soul around you. Oh, that is what it means when it talks about being baptised in one spirit, submerged, buried, enveloped and enveloping in the one Spirit of God. While I was in Milwaukee recently, I went out one morning with Rev. Fockler to make a call on a sick person. We stepped into one of the most distracted homes I have ever been in. A strange condition had developed in one of the daughters, and the household was distressed. They were the saddest group. They were German people. Fockler speaks German. Presently he began to talk to the household. I just sat back and watched. Presently I noticed the faces began to relax and the strain was gone. The girl was apparently insane. She came down the stairs, stood outside the door where she could not be seen except by me. He continued to converse with the family, and as their souls softened and their faith lifted, her eyes commenced to change. She was moved upon by the same Spirit until her nature responded, and in just a little while she stepped into the room. She had tormented that household. Nobody could get near her. She slipped up behind Fockler’s chair, stood with her hands on the back of the chair. He understood and disregarded. After a little while she put the other hand on the other shoulder. And in fifteen or twenty minutes we left that home, and there was just as much distinction between the attitude of those dear people when we came in and when we left as between heaven and hell. If hell has a characteristic, it is that of distraction. If heaven has a particular characteristic, it is the presence of God, the calm of God, the power of God, the love of God. 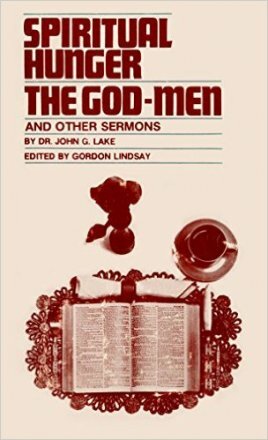 There were days when the church could club men into obedience by preaching hell to them, but that day has long passed. The world has outgrown it. And men are discovering there is only one way and that is the Jesus way. Jesus did not come with a club, but with the great loving heart of the Son of God. He was “moved with compassion”. This morning I lay in bed and wrote a letter, an imaginary letter to a certain individual. I was getting ready so that when I came down I could dictate the sentences that would carve him right. One of the phrases was, “You great big calf, come out of it and be a man.” As I lay there I got to thinking, “If Jesus was writing this letter, I wonder what He would write?” But somehow it would not frame. My soul was not in an attitude to produce such a letter. So I came down this morning and called Edna and commenced to dictate, and I was trying to dictate a letter in the Spirit of Jesus. Presently I woke up to the fact that I was putting the crimp into it like a lawyer. After she had written it and laid it down for me to sign, I commenced to read it over. It was not what I wanted to write at all. The first two paragraphs had a touch of the right spirit but that was all. So I laid it aside. Then I went in and prayed a little while. After I had been praying for twenty minutes, the telephone rang. It was that fellow. He wanted me to come down to the Davenport Hotel. We had three of the best hours without being aware of the time. We boast of our development in God; we speak glowingly of our spiritual experiences, but it is only once in a while that we find ourselves in the real love of God. The greater part of the time we are in ourselves rather than in Him. That evidences just one thing, that Christ has not yet secured that perfect control of our life, that subjection of our nature, that absorption of our individuality, so that He is able to impregnate it and maintain it in Himself. We recede, we draw back, we close up. We imprison our Lord.. I wonder if there is anything that could not be accomplished through that love of God. Paul says there is not. “Love never faileth.” That is one infallible state. Try it on your wife, try it on your children, try it on your neighbours. Ah, sometimes we need to get things over on to the bigger love, the greater heart. It is a good thing to detach your soul. Do not hold people. Do not bind people. Just cut them loose and let God love them. Don’t you know we hold people with such a grip when we pray for them that they miss the blessing. Why, you have such a grip on your humanity that it is exercising itself and the spirit is being submerged. Let your soul relax and let the Spirit of God in you find vent. There is no substitute for the love of God. “Christ in you.” Oh, you have the capacity to love. All the action of the Spirit of God has its secret there. I stood on one occasion by a dying woman who was suffering and writhing in awful agony. I had prayed again and again with no results. But this day something just happened inside of me. My soul broke clear down, and I saw that poor soul in a new light. Before I knew it I reached out and gathered her in my arms and hugged her up to my soul, not my bosom. In a minute I knew the real thing had taken place. I laid her back down on the pillow. In five minutes she was well. God was waiting on me until He could get to my soul the sense of that tenderness that was in the Son of God.